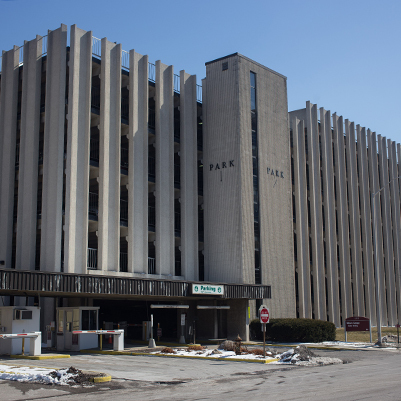 Structural repairs were made to the Wilson Street Garage on the IUPUI campus. The scope of work included repairing all structural concrete slabs, spalled concrete and expansion joint materials, joint materials between precast double trees, and traffic-bearing membranes. When repairs were complete, pavement striping and markings were replaced.